We all know that feeling when you’re stuck in such a small place where you have to work – your laptop is already occupying half of your desk and even if you want to hang a picture on the wall, the memo board already took half of the empty space. Not everyone can have the office from the dreams, but at least we can all try making it closer to it. This doesn’t mean buying new things and spending our money on decor, but rather making your own kind of stuff. For someone this might be a pretty calendar, or a new storage box. 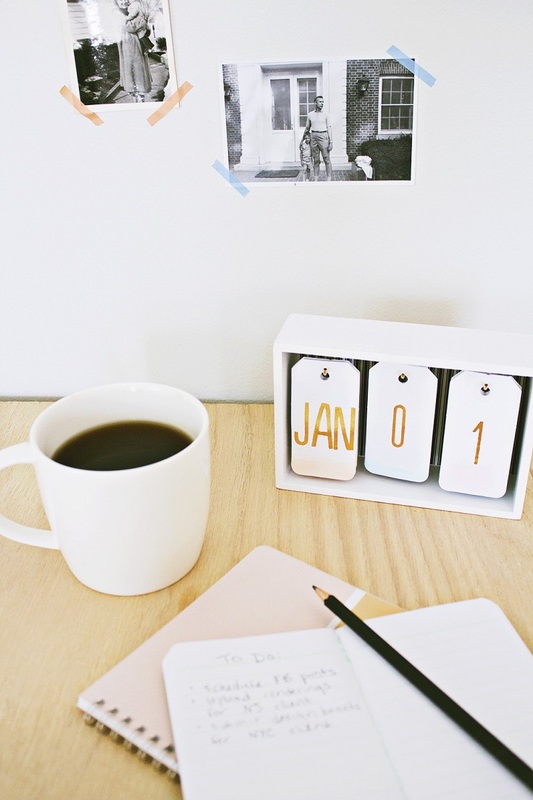 There are so many office decorations that you can do it yourself, no matter how small your office may be. Ahead you will find ten different ideas on how you can decorate and what kind of stuff you need for that. Check it out and let us know which of these would fit your office the best. 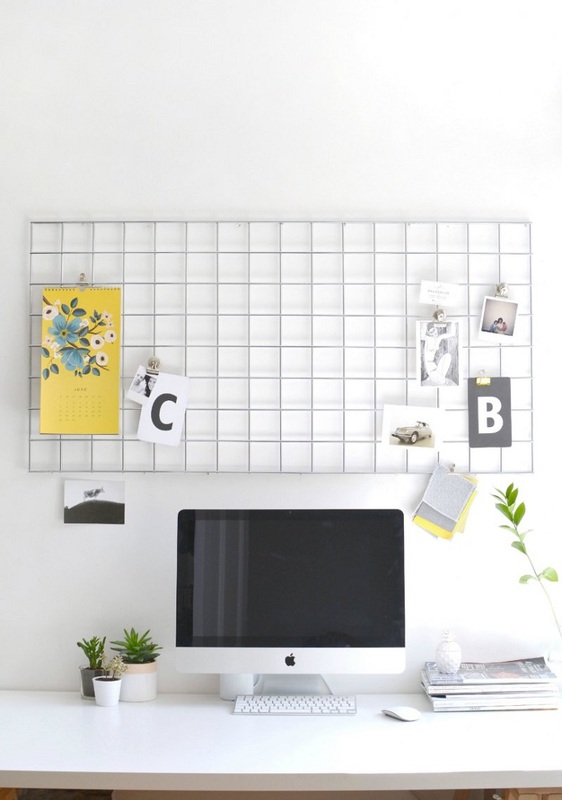 A wire mesh, brackets and hooks can do such wonderful memo board, and not to mention how artsy it would look if you attach pretty notes or Polaroid photos on it! This is also a great way to keep notes organized. 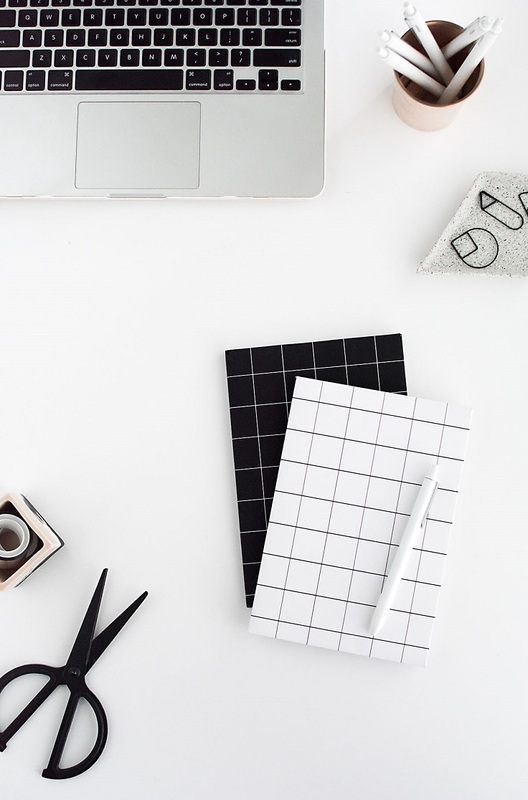 Instead of keeping them on your desk or in your drawer where they can easily mix with other stuff, keep them attached in front on your laptop, so that you can always be reminded on meetings and other important events. 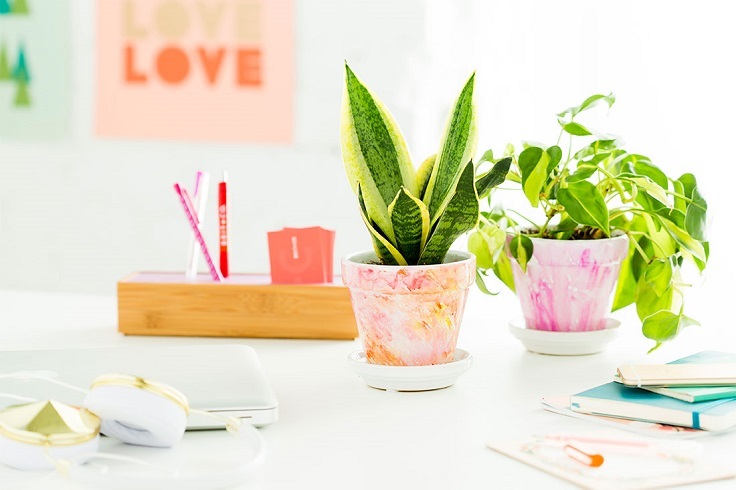 Even the smallest of decoration can be the perfect detail that will make your office a little bit prettier. It also doesn’t require too much time or any bug art skills – just use your creativity and you’ll be surprised at your results! To make this cute calendar on your own, first purchase the needed materials: gold rub – on transfers (letters and numbers), 1 sheet of patterned paper, small, white wooden box, 3 small C – hooks, white eyelet gift tags, Mod podge, sponge brush, watercolors and brush, pencil, measuring tape and scissors. If your job includes lots of paper and documents, then you probably already know how important is to keep them organized and in one place like a storage box. You can easily find these types of boxes in many stores, but sometimes those who look pretty can be pretty expensive as well. To save yourself from unnecessary costs, make your own storage box! Here’s what you need: acrylic paint, white spray paint, patterning tape and wood box. 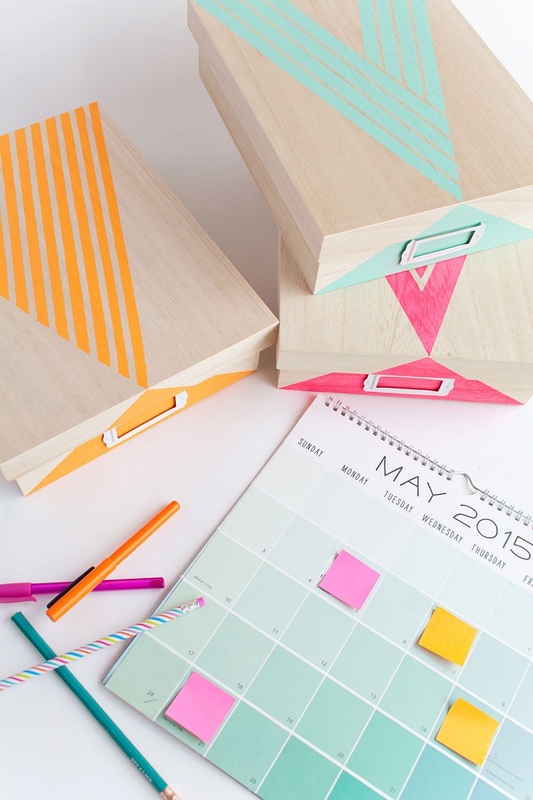 With a little effort, time and creativity your future storage boxes can look as adorable as those on the picture! Erase boards can be huge for someone who shares the office or just works in a tiny space. The solution to this problem is simple: a picture frame erase board. 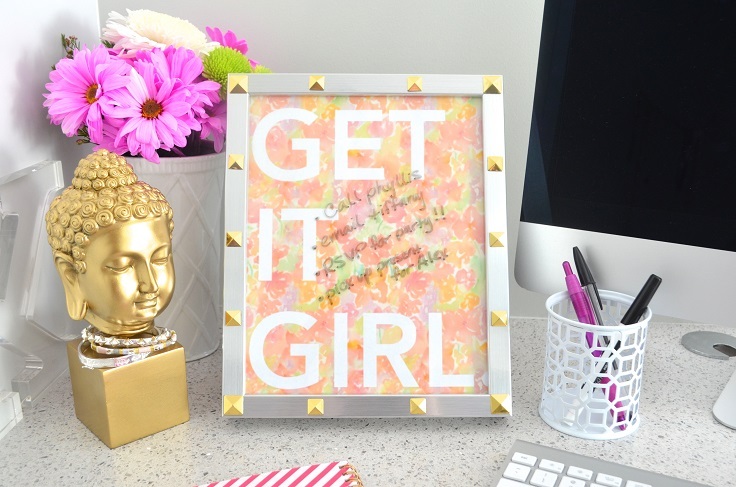 It’s small, creative project and will serve you just as much as any other erase board – plus, this one doesn’t occupies too much of your work space! With a good printable, your frame board can have an interesting background, so if you want the same one, check out the link below or create your own. No more excuses for forgetting things with this one! It’s the details that matter, right? So, when next time you’re clueless on fixing your office, remember that even the most ordinary decorations and organization items such as pen can, can be transformed into an artsy office decor. For this project, you need clean cans, 1/4 inch manilla rope, hot glue gun and scissors. So, the next time when cleaning the kitchen, think twice before throwing away any old food cans! They can be quite useful and transformed into a great decoration with just a small amount of money and time. Here’s something for everyone who wants to have everything in one place. Even though trays are more of a home decor, but they can serve you just as well in the office as well. According to the tutorial, this isn’t a tray, but a plastic frame turned into tray. However, you can choose the option that you like the best. The most important thing is to also choose an interesting paper for the background and put it inside the tray. Measure it well, so that it would perfectly fit the tray. Once yo had this done, the last step is to put inside everything you want to! Mouse pads are such an underrated office decoration. We are used to dull, one – colored pads that nobody even notice them for their look and just stick to their function. 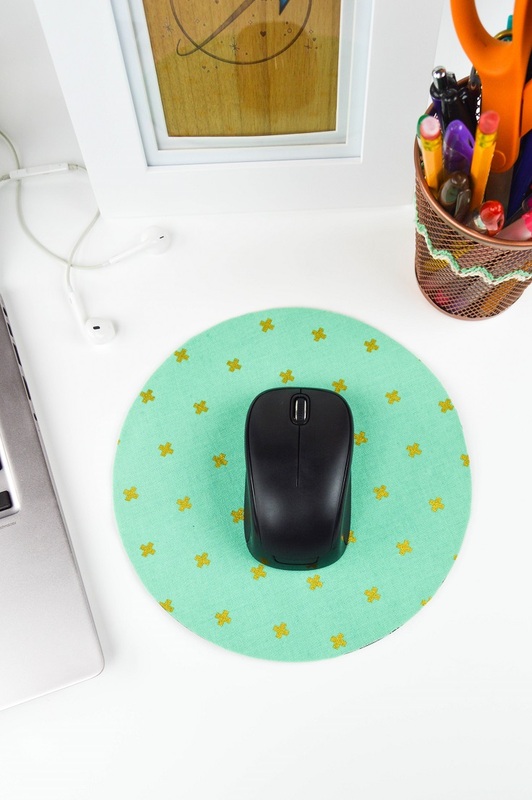 However, with a little amount of money and your creativity, the mouse pad will no longer be just some item you desperately need in your office. 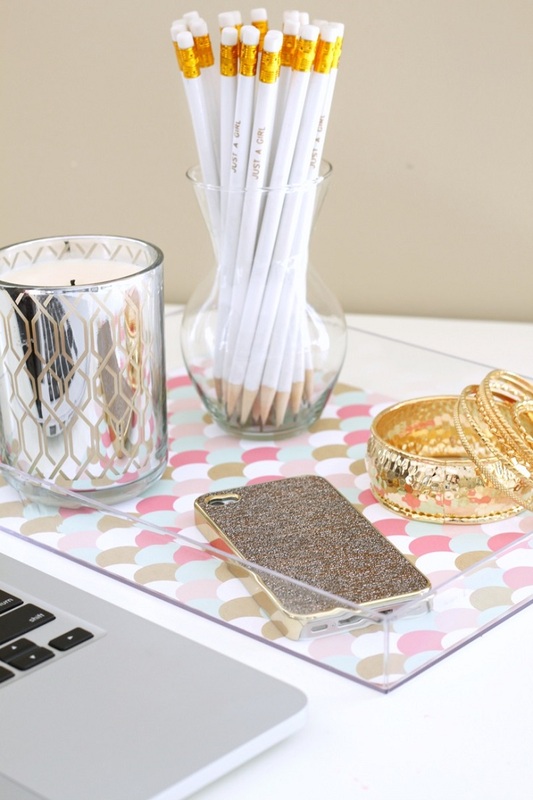 To make your own pretty pad, you need a plain black mouse pad , spray fabric adhesive, fabric, calk or pen and scissors. It’s really easy – just cut the fabric enough to fit the mouse pad, use spray adhesive to stick these two and wait for few hours until you use it. If those empty walls go on your nerves, here’s how to fix it: with wall art. 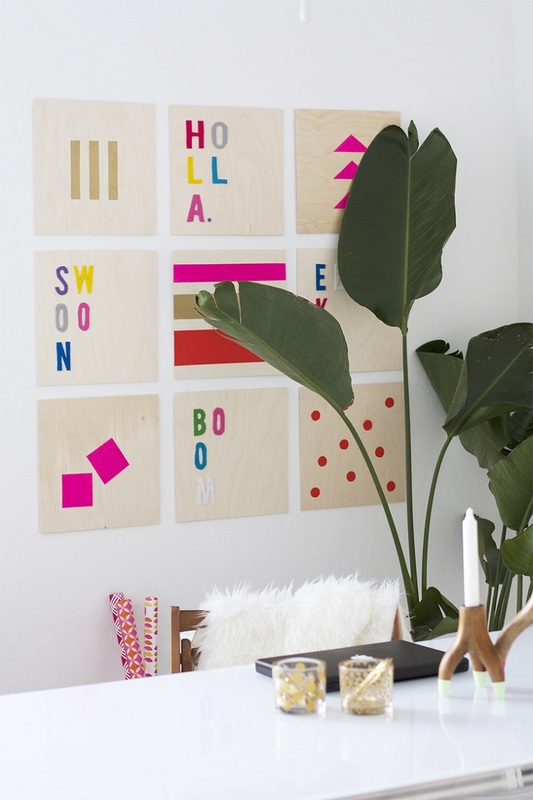 As simple as it sounds, the DIY wall art doesn’t mean that you should be the next Frida Kahlo. It can be something very simple, but with the use of right colors and the mixture of textures, your very own wall art can turn out quite amazing. You need the following materials: 12-inch x 12-inch wooden craft boards, assorted colors of felt, patterning tape and paint colors of choice, while you also need scissors, paint brushes, sharpie and hot glue gun. Notebooks can have amazing covers – if you want to. There are so many designs and prints and each of them is really pretty! It all depends on your taste, but if you want something more formal and minimalistic, then you should definitely get the free printables from the link below the picture. You’ll just have to measure it according to the notebooks you have and use glue or any other adhesive. After this, you would love to write everything down! 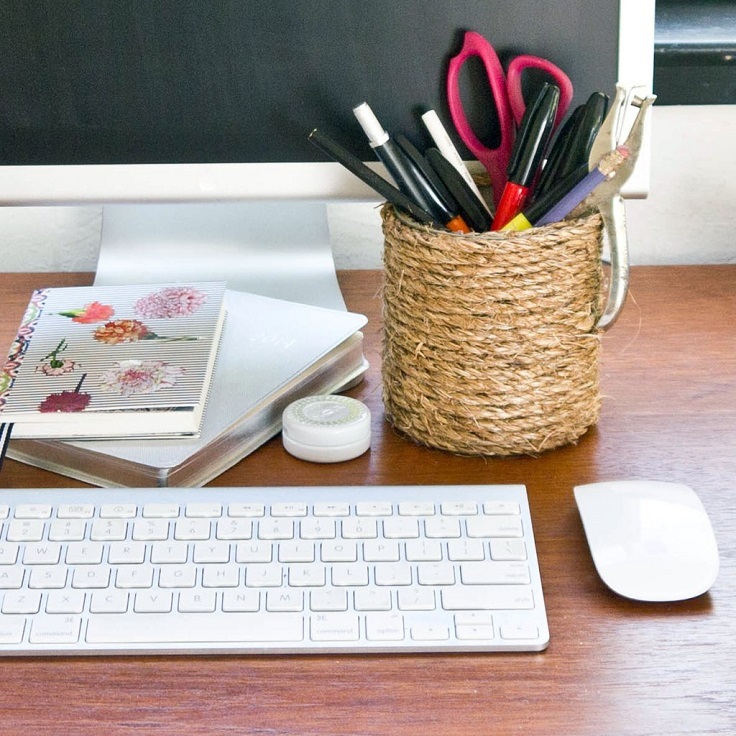 Flowers are the perfect way to instantly beatify your office. Unfortunately, you might not be able to bring a huge flower pot, but a small planter would do the trick as well! You need white ceramic planter and saucer, sharpies, nail polish remover, Q-tips, disposable cup for nail polish remover, spray sealant and paper towels, but these are optional. It’s all about letting your creativity out and paint the planters with sharpies, and then use the Q-tips for creating the watercolor effect. When you’re done decorating, just put inside the soil and plant the flowers you’d like.